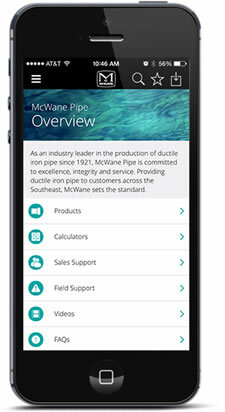 Potable water and waste water treatment plants and pumping stations require ductile iron pipe, fittings, valves and hydrants from the McWane Family of Companies. The key to this application is the attention to detail, as every installation is different and requires pipes to be cut at custom lengths, special fittings as eccentric reducers, restraining accessories, special coatings and linings for corrosive applications or even connections of hydraulic components with different standard designs. We specialize in the accompaniment to designers and engineers who require a supplier interested in far more than the sale; an ally that will focus on the development of the project from the first drawing to installation at the construction site. At McWane International, we are eager to be that ally and bring to you the expertise and knowledge of near 100 years of quality product manufacturing.